Dine Alone Records is a Toronto based indie label, which has proven itself to be a surprising source of broadly varied, quality artists. Personally, I am an individual who is very prone to disappearing into niche genres (and reappearing baggy eyed months later, much to everyone’s surprise) and merely dabbles in the loosely defined ‘indie’ scene. Dine Alone managed to retain my sparse long term attention because of their above average consistency in terms of their artist roster. This is my personal observation which has been passively moulded over the course of the last year. This internal narrative finally has taken a rigid shape thanks to the release of their free December 2014 Winter Sampler. This is a 26 track compilation of singles from 25 bands signed to the label, the majority of which I was unfamiliar with, with the obvious exception being act calibers such as Tokyo Police Club (“Gonna Be Ready”), K-os (who covers “Turn Me Loose” by Loverboy) and The Dodos (“Competition”). 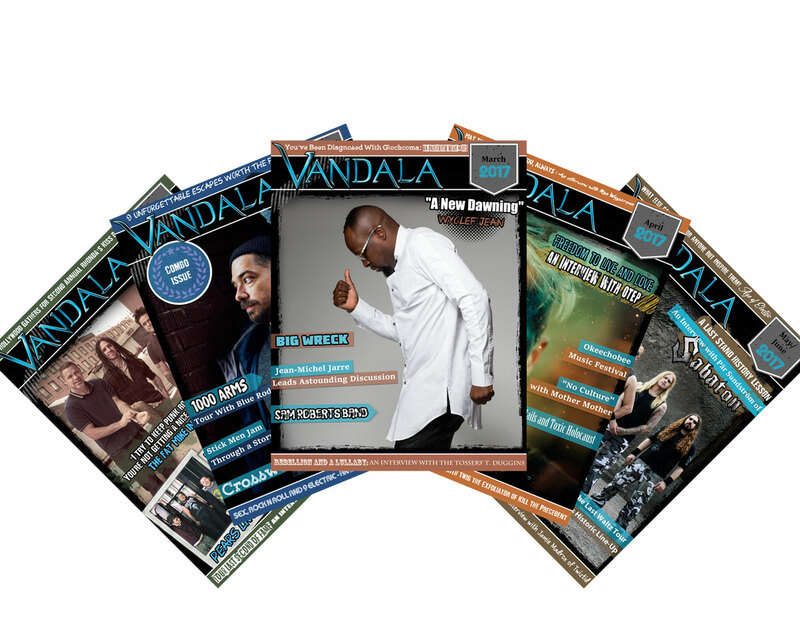 On the surface, a record label releasing a compilation album may seem like a mechanical marketing exercise. 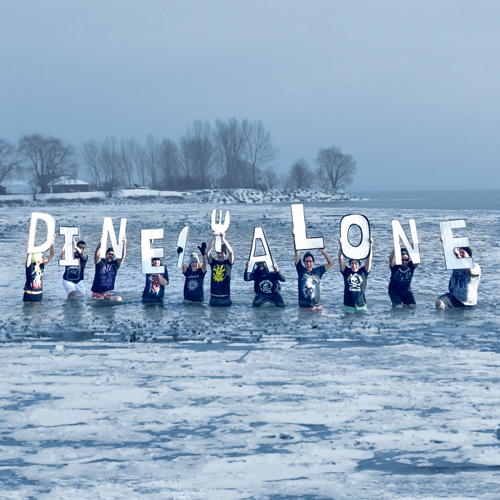 In the particular case of Dine Alone Records, it is both a narrative, and a mission statement, which they have vicariously spelt out by featuring 26 Dine Alone singles from 2014. It stems from a variety aesthetic stylings, all of which inevitably converge to a central, sordid sort of emotive. It is this level of precise attention that projects their staff team’s passion. For context, if a major label released a compilation it would feel far close to a PR exercise than an album complete with its own themes, arcs and identity. That aside, here are the up and comers that have been my pleasure to discover and will definitely stake their claim in the upcoming year. The first track on the album, and is best described as a noble effort to revive 70’s surf-rock/punk stylings; it even sounds like something by the Ramones. This 3 piece band, from Oklahoma holds little regard for naysayers that say ‘rock is dead’ (which gives an appropriate context for the band name ‘Broncho’). In fact, their 2014 album, “Just Hip Enough To Be A Woman” seems to have secured such a surprising social traction that there is only opportunity for them in 2015. It is hard to pin down Lucius’ sound without resorting to meaningless abstracts like ‘uplifting bohemian rock’. There is a tranquil ambience in this band’s blend of old school Beatles-pop-rock, fused with a head turning Soul style of delivery, over modernized synth/keyboard melodies. Lucius definitely has a finger on the modern indie scene’s pulse and understand how to reinterpret it through their unique stylistic soul influences downbeat feeling that is common to all. This is the best alt-rock track off this sampler, simply by the virtue that it is the sort of song that would be excellent to sing with your mates after a couple of drinks. 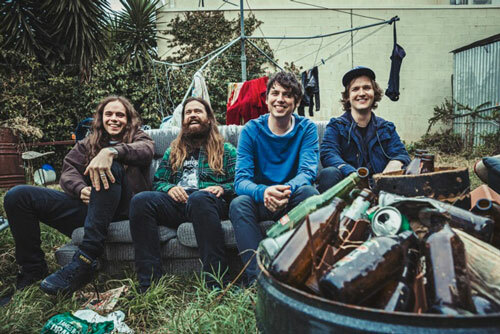 This band clearly draws influence from the alt rock acts like Pixies and Nirvana (but this track sounds closer to Bloodhound Gang), and their most recent release “Hungry Ghost” just broke gold in their home country of Australia. The next logical step is for their 2015 release is to break into the North American market, right? ’Burn The Bruise’ sounds as if a 60’s garage rock band is doing an excellent job covering a Misfits’ track. The emotionally charged vocals, the downbeat bass lines and lyrics that bring the feeling of horror movie dread straight to the pit of your stomach. The Wytches are definitely a fun treat for classic punk rockers; check out their debut album “Annabel Dream Reader”. The multi-media worship of how great “the 80s” were has been in full swing for a while, despite the fact that many of those participating were, at best, not potty trained during its hey days. This track by Sydney’s rockers Zeahorse, sounds like an open rebuttal that 90’s angst rock was pretty damn good too. While “Career” sounds broody and akin to Korn’s Follow The Leader era, their 2013 EP “Pools” is an overall fusion of grunge, punk and psychedelic rock that captures a downbeat feeling that is common to all. To some ‘The Fighter’ may sound like another simplistic song for the emotionally charged. What separates this track from the aforementioned radio hit is the fact that you can hear Spain’s disciplined yet deliberate release of each word, bass line and percussion hit. The singer’s voice does an excellent job creating warmth against the melody, but the lyrical context leaves you cold. This complication is the reason why many fans will likely eventually purchase all 5 of Spain’s albums in confidence. Honorable mentions: Bag Of Glass – Noah Gundersen, Coping Mechanism – Shovels & Rope, “Stepping Stone” Fly Golden Eagle and of course the untitled outro track.